John Ismay (left) was in the business of tracking explosives and bombs in surge-era Iraq. His first week there introduced him to an open secret: Coalition forces routinely found chemical weapons, and within a month, a soldier in his unit suffered a mustard blister on his leg the size of his hand. As a U.S. Navy explosive ordnance disposal officer, Ismay spent a lot of time thinking about the improvised explosives killing coalition troops. He put in long hours at operations centers, studying reports and looking for patterns set by insurgent bomb-makers to help soldiers find IEDs with their eyes and not their bodies. Chemical weapons like nerve agents and mustard were an afterthought when improvised explosives were the number-one killer of troops in Iraq. Yet at the same time, Iraqi and American soldiers recovered thousands of chemical munitions mostly in secret for three years before Ismay deployed to Iraq, leaving his troops and countless others to a grim lottery of sorting through damaged shells that might have led to paralysis by sharing the same air. The landmark two-year New York Times investigation on the Iraq War’s secret chemical weapons casualties sits at the intersection of multiple daunting obstacles for journalists: military leaders who suppressed information from the public, injured war veterans who are skeptical of reporters, and dense webs of technical details in need of expert analysis. At the center was a team of three veterans—Ismay, New York Times correspondent C.J. Chivers (right), and videographer Mac Bishop—whose own services played a considerable part in reporting one of the biggest untold stories of the Iraq War. What they uncovered was astonishing: U.S. and Iraqi forces had secretly recovered about 5,000 chemical weapons during the eight-year war, with the first report documenting 17 American and seven Iraqi soldiers injured by mustard and nerve agents—including the only documented battlefield exposures to a nerve agent in U.S. military history. The Pentagon, later prompted by the story, revealed the number wounded as higher than 600. High-ranking officials reportedly engaged in subterfuge to downplay and conceal the danger to U.S. troops, and official recognition is nearly nonexistent. Purple Hearts awarded by Army Secretary Pete Geren were rescinded in one case due to convoluted rules of what defines enemy action with chemical weapons. Lifelong medical care will likely be necessary for the troops exposed, but that will be difficult in the Veterans Affairs system, which requires documentation to treat and compensate service-related injuries. In most cases for troops wounded by chemical weapons in Iraq, that documentation was aggressively avoided. The United States went to war in Iraq expecting to destroy an active weapons of mass destruction program. Instead, it found only remnants of chemical arms built in close collaboration with the West. Video by Mac William Bishop and C.J. Chivers on Publish Date October 14, 2014. As Ismay finished his service commitment with the Navy in 2010, he read a New York Times piece detailing the complex origins of weapons found inside a Taliban gun locker. He then began corresponding with C.J. Chivers, the paper’s longtime conflict and arms reporter who wrote the piece. Ismay calls him Chris, but for seven years ending in 1994, he was Captain Chivers, a Marine infantry officer who served in the Gulf War. Ismay couldn’t satisfy what he calls a “morbid curiosity” about the origins of the chemical weapons found in Iraq. His research stalled due to lack of evidence and Pentagon documentation, and he put his work in a drawer until Chivers came to him on the same subject. Chivers was following murmurs that chemical weapons designed by the West in the 1940s and used in the Iran-Iraq War were the same munitions that Americans and Iraqis were pulling out of weapons caches IED emplacements as recent as 2011. “This was basically an arms trade story,” Chivers says. Initially, Pentagon officials were tin-eared to their requests on the types of chemical weapons injuring U.S. soldiers and Iraqis, and no one would go on record. “As the number of victims grew, as the number of collected munitions hit four figures, we realized we had a different story,” Chivers says. It was no longer about the weapons. It was now about the men wounded by them. All they had to do was listen to their stories. Of all the occupations wary of outsiders, combat troops—men and women in an insular, competitive, and poorly understood culture—might be the most guarded. It’s an undeniable hurdle confronting any journalist who must use veterans as sources and guides through complex stories. 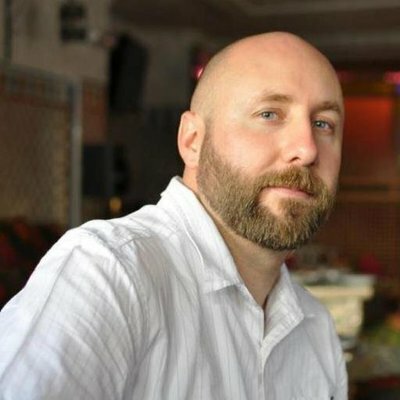 Chivers’ stature as one of the world’s top conflict reporters helped overcome that challenge. His reporting has even landed him on Pulitzer-winning teams at the New York Times. 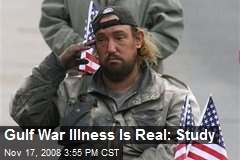 But a veteran doesn’t see journalistic accolades on Chivers’ sleeve when they meet him. They see his closely cropped hair and a Marine officer’s directness. The veterans interviewed in the story were privately frustrated with their experience but cautious of the media. Chivers communicated with them for months before the story began to take shape. It could’ve been longer without Chivers’ background and Ismay’s service in Iraq to boost their bona fides. Ismay is quick to point out that this heightened understanding is not uniquely imbued in veterans who become journalists, artists, or anyone else responsible for crafting work from the human condition. He cites Doonesbury creator Garry Trudeau as a civilian with immense understanding of war’s toll. Trudeau’s longtime character B.D. lost a leg in Iraq, rehabilitated at Walter Reed and battled post-traumatic stress. Trudeau never served a day in his life, yet he is as empathetic as he is pacifistic. But for those with military backgrounds covering those who came after, is there a bias for covering those close to home? One might expect proximity to a culture to cloud perceptions or downplay institutional problems. Relatively few former football players were outspoken about domestic violence and brain injuries in the NFL until the recent scandals, for instance. Past military experience gives veteran-journalists more space and credibility to scrutinize, says Mac Bishop (left), a former Marine who spent time as both an infantryman and a Japanese translator. Bishop joined Ismay and Chivers on the story last year, gathering interviews and acting as the videographer and co-producer for the story’s accompanied documentary. The military is a reflection of society, Bishop says, where race and socio-economic diversity is more evenly distributed than he encountered in and out of college. But the larger population doesn’t understand that, he says. The public perception of the military and veterans is often a binary one: you’re either the unstable, PTSD-addled survivor, or you’re the celebrated hero invited to sing ‘God Bless America’ at the World Series. That kind of simplification may bleed into reporting, which can be damaging given journalism’s role in shaping public opinion. But journalists are no more or less susceptible to view the military as an unknowable monolith—it’s just easier to identify. Bishop didn’t need to gain situational awareness or work through misconceptions when it came to working on military and veteran-related stories. He arrived ready-made. Prior military service as a newsroom asset doesn't extend only to covering military and veteran issues. Journalism is about people at its foundation, and a wide breadth of exposure in the Marines has served Bishop well for stories on economics as much as chemical weapon injuries. "Living beside, eating with and relying on people with upbringings different from my own was an education in itself, and strengthened my ability to quickly understand others and their motivations," he says. "I can think of few fundamental skills more valuable in a reporter." The three veterans—Bishop, Ismay, and Chivers—met with troops wounded by weapons the public didn’t know were there, who watched Purple Hearts stripped off their chest, and came home to a VA system skeptical of their undocumented injuries when the world still believed no chemical weapons were found in Iraq. It wasn’t long before a spirit of social justice guided them. The military is ostensibly egalitarian, but the hierarchy holds a fundamental bias toward legitimacy and protection for the top, sometimes at the expense for those at the bottom. Chivers knows the bureaucracy from both ends and sees his work on this story as a “social leveling” for those caught on the damaging side of bureaucratic self-protection. “When we sit down and listen, a specialist or a sergeant or a captain has as much and arguably more weight at our table then generals or senior staff, many of whom on this story were bullshitting us, where the rank-and-file—the guys who were in harm's way—were not,” he says. That quiet sacrifice is now a step closer to being fully recognized. Secretary of Defense Chuck Hagel, in response to the story, has ordered all troops exposed to chemical weapons to undergo testing and long-term monitoring, along with a review of how the fiasco went on for so long out of the public view.